Can Greg, the FA and football figures follow PSV? Not much to say today. Indeed, I wasn’t even going to bother until this crossed my desk. We’ve probably all had our fill of the non-football stories from the Euros. England fans are being provoked – England fans have a minority of morons amongst 30,00 well behaved fans; Wales fans were brilliant – Wales fans were anti-England; French ultras and Russian thugs have been ruining the party for everyone . Likewise, the media circus following the throng and looking to magnify any incident out of all proportion. Talking yesterday to an England supporter who had just returned to Brentford, the verdict was one of : there had been incidents, but they were easy enough to avoid and just enjoy the party if you wanted to. All well and good. Unless you were there without an agenda, few will be in a position to make a full judgement about the relative innocence/guilt of the respective sets of supporters. And I don’t want to. I’ve had enough of it. Moreso, the refugee baiting that has gone on. This wasn’t provocation from gum shield sporting ultras, self-defence from flying tables or just old-fashioned drunken fisticuffs. It marks, in however limited a form, a somewhat sickening style of behaviour spreading around the European football scene. Call it bullying, racism, intolerance or whatever. Taunting refugee children with coins or making seven year olds down beer or smoke cigarettes for money and ‘comic effect’ (amongst just some of the awful things we’ve seen) is just wrong. Very wrong. And indefensible. Regardless of your thoughts about the political situation is this anyway to behave or represent your club/country? And what should the club / country do about it? If they even care? Well, PSV Eindhoven had a similar challenge prior to their Champions League game against Atlético Madrid in March. Their fans were roundly vilified for throwing coins and mocking the homeless in an act subsequently termed – Poverty as a spectacle. Fairplay to the club for, at least, issuing a statement vowing to track down those responsible. Unless I’ve missed it, the FA have done nothing since the recently published footage of England supporters engaging in similar acts. Greg Dyke – if you are reading (unlikely), how about it? Will you say anything ? Even just signing the petition that has sprung up ? Or will everybody just stick their head in the sand and pretend nothing has happened? Hey, perhaps we all just imagined it. The game is here and England WILL win. Fighting talk? Finally. The match that has been a stand out on the domestic fixture list for the last 7(seven) months is here. England take on Wales today. But will there even be a game? Of course there will although the morning after the night before, with 36 more arrests after further trouble and tear gas, could UEFA come anywhere close to their threat of sending Russia and / or England home? Russia going down to Slovakia yesterday has aided their chance of a natural return home but, surely, England will have too much in the tank for the Welsh? Qualification for the second round a certainty. I don’t predict much but I’m predicting this. 2-1 to England. “A small number of supporters seem hell bent on getting Roy Hodgson’s team thrown out of EURO 2016.” Not my words but those of news guru Matt Dyson on this morning’s Absolute Radio Christian O’Connell breakfast show. An over reaction or genuine fear? Fear not helped by Wales manager Chris Coleman predicting the game to be “an old fashioned dust up”. Probably not the best choice of phrase amidst all the fighting talk in the build up to the clash. Again, probably not the best choice of phrase etc etc etc ……. Whatever the cause and whoever is to blame, the scenes we’ve been shown back home are pretty horrific. Billy Grant and Stan Collymore (a pairing I never thought I’d put in the same journalistic related sentence) have been doing their thing over the last few days. Brentford supporters’ Dave and Billy’s Beesotted page continues to pump out the blogs (with their YouTube footage going viral) whilst Stan has been running the gauntlet of ‘supporters’ and accusations of being a ‘snitch’ as his video links on Twitter are starting to take on a life of their own. There’s not too much else to say today. I have genuine excitement about the game but, at the same time, it is tinged with an uneasy feeling of awkwardness. Not about Wales winning – although if the reaction is anything like Gareth Bale’s pre-match mind games that will be horrific. Max Boyce and Manic Street Preachers all over the radio; Welsh footballing icons such as Vinnie Jones and Robbie Savage giving it large. Possibly. Should they win then it will, no doubt, be deserved. Likewise, congratulations offered. But they won’t win. The awkwardness isn’t even the underlying worry that, with French Police ready to wield the tear gas and Ingerland supporters displaying their penchant for bawling out God Save The Queen in Town Squares, something is going to give. And then UEFA are gong have to make an unpopular decision one way or the other. No. It’s something worse than that. With an England game just hours away, the ‘alleged’ supporters band will be tuning up and polishing their French horns. Nobody wants anymore violence, that’s for sure. But if I hear ‘that band’ doing their thing then I won’t be held responsible for my actions. It really has been the archetypal ‘slow news week’. Despite what seems like an eternity since Brentford went down at Derby County, there are still another five days until the chance to get back to action when Rotherham United visit. Instead, it’s been a case of relying on the Rugby World Cup, EURO qualifiers and writing programme articles for the QPR and Nottingham Forest games, amongst others, for entertainment. Even the club website has been somewhat thin on the ground when it comes to updates of substance. 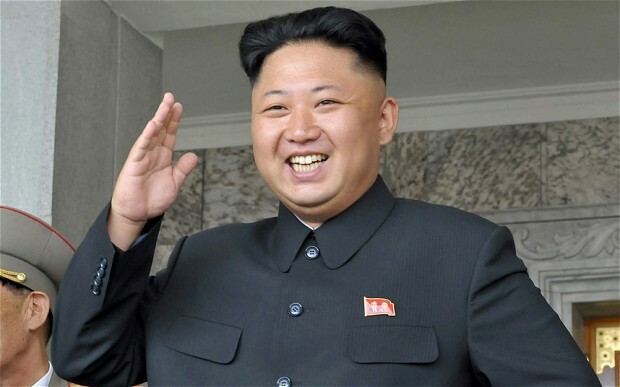 There are more facts coming out of North Korea (where it is currently ‘military parade’ season) than Griffin Park at the moment. That’s no particular fault of the club – it’s just one of the prices we pay for Championship fixtures being cancelled due to an International weekend. This morning’s front page present a meagre crop of news, with the Vibe, Judge and O’Shaughnessy in action story being the main headline to grab the attention. Quite rightly, having three players selected for various levels of International duty is something to be proud of and full congratulations are due, to all the players involved – even if the facts behind the story are somewhat shy of the truth proclaimed in the headline. By which I mean that despite declaring that the players were “in action” the story goes on to say that, “Lasse Vibe was an unused substitute” whilst “Alan did not make the final line-up”. When I hear the word ‘action’ I automatically think about crunching tackles, screaming goals, blistering pace and resolute defending. Not unused substitutes. It’s a pedantic point and one that shouldn’t disguise the fact that Brentford have players this close to the finals of a major international football tournament. That in itself is an incredible achievement of how far this team has come, even if we aren’t quite firing on all cylinders at present. Instead, the point is made more to illustrate just how quiet things are out there in the media at present. Indeed, this column has been on hold for the vast majority of the time since the Derby game. Equally, that’s been as much to do with just wanting to catch my breath after the maelstrom of recent events that saw two dreadful performances following the surprise axing of former head coach Marinus Dijkhuizen. That, for reasons which are still not clear beyond unspecified differences in approach to matter on the training ground. Instead, I’ve been preparing the ‘Kit obsessive’ articles for the next few home games. Despite the Last Word being axed from the matchday magazine a few seasons ago (hence the current ‘online’ version) I’m very much enjoying the opportunity to write the usual nonsense about the best and worst of our opponents’ kits over the years. It is a subject very close to my heart, as the regular reader will know about the ongoing search for an Osca 83-84 or the mythical Adidas 80-81 shirt to add to my own collection. With this quest still proving fruitless, it’s been really enjoyable digging into the historical kitbag of our rivals and looking at some of the best and worst in football fashion over the years. And not just the fashions but how they were advertised. Whilst it’s a well-known fact that footballers can’t act or sing, despite numerous attempts to prove otherwise, the converse is true. Non-footballers certainly shouldn’t try and turn their hand to the beautiful game. 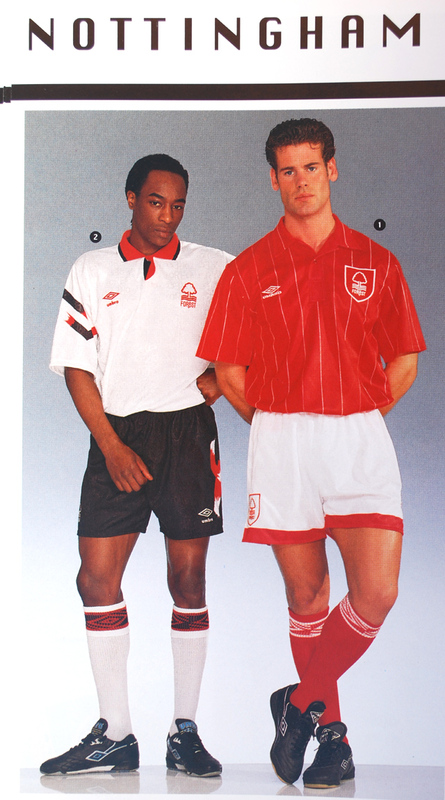 Researching the Nottingham Forest article, I stumbled across this beauty from the Umbro back catalogue. Decent kits, the home especially, but could the models look any more awkward? Roll on the weekend, please. Proper football can’t return soon enough. For all our sakes.